The area holds the snowfall record from the season of 98-99 with 2896 cm of snowfall. So obviously, you don´t have to worry about the snowconditions at Mt Baker! The resort offers more than 404 hectares of skiable terrain. 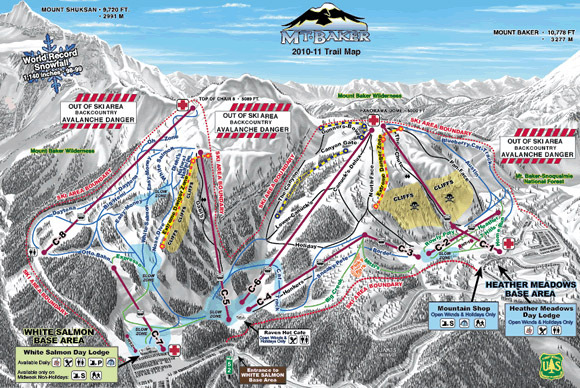 There are plenty of trails and slopes for beginners, intermediates and experts. Experts may also ski in the backcountry. However, you must obey the rules. Furthermore, Mt Baker has a Terrain Park to offer. Here you can show off your skills and acquire some new ones.